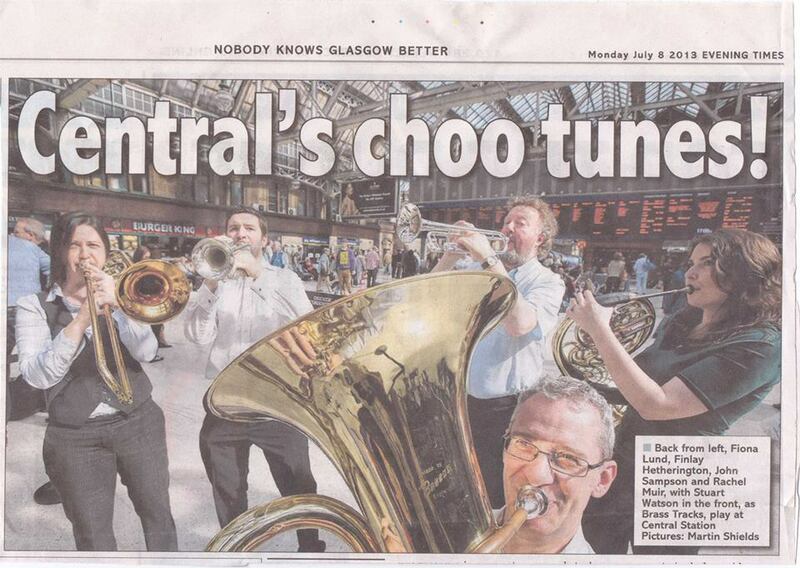 On Saturday 2nd May there will be a recital given by Brass Tracks with their first performance in Renfield St Stephens Church Centre, Glasgow. Their lunchtime concert begins at 1pm and will feature a diverse programme of music, including music by James Maynard, Irving Berlin, George Gershwin, Gerardo Rodríguez and perhaps something from a little closer to home by Dougie MacLean. Brass Tracks enjoy playing contrasting musical styles from baroque, swing, contemporary popular classics and exploring not only different periods of music, but also the numerous arrangements written for brass quintet. Some of their repertoire has been previously written for musicals, film or originally written for different instrumentation. Come along a listen to this wide ranging programme which will hopefully leave you wanting to hear more. Please click on the link below for further details.